We had so many calls from so many ladies out there, that we had to do a story about this! 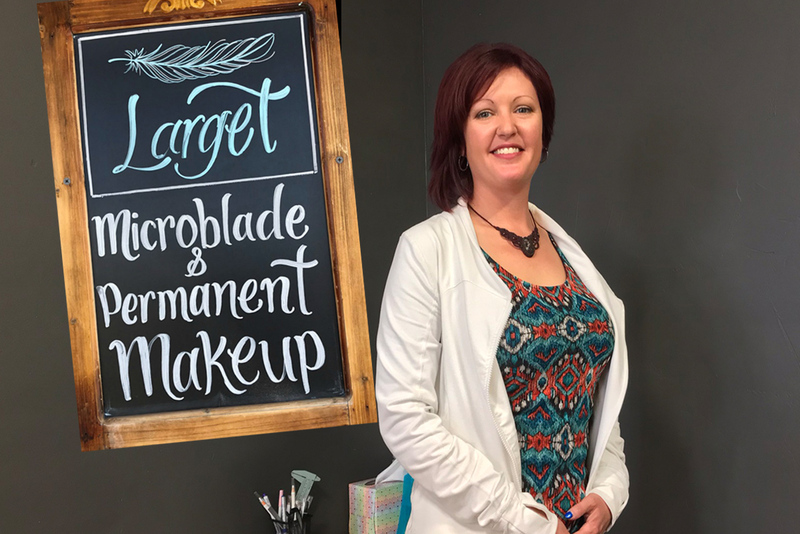 For the first time ever in Boulder City, ladies have access to microblading and permanent makeup at Larget Permanent Makeup, located inside Ragtown Tattoo! (Located at 1636 Boulder City Pwky., near Flightlinz). Meet the lovely and talented Dani Larget, who has 17 years of makeup experience and is a fully licensed professional Permanent Makeup Artist. She’s been here since November, and recently moved back to Boulder City with her husband, who also works for Black Canyon River Adventures. She says walk-ins are welcome during her normal business hours, and consultations are free, if you just want to talk through her services. Dani is at Ragtown Tuesdays and Saturdays from 12noon – 5pm. Phone is 267-230-9297, and you can learn more about her business on her Facebook Page HERE. Even if you’re not sure if this is for you, we’d say to swing by and say hello to her – along with Chris at Ragtown Tattoo – they’re a fun business to have in our community!